A Scrunter most of us have never heard. Seventy minutes of mostly Calypso and a bit of Soca with Latin rhythms intertwined. Imagine, no one can't imagine ... you have to hear the Latin horns in Woman On De Bass. 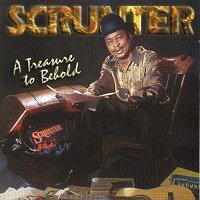 Another Scrunter "must have" recording produced in 2002.